Prince got lots of questions regarding his fans and love interests. Mallishka asked Mandana that what was it like to behave as an evil person and the most targeted person inside the house. Rishabh Sinha made it a Bollywood type session by answering the questions via some of the famous movie dialogues. After that, there was a quick rapid fire round where finalists answered some of the most speculated answers to the questions like who they believe is the most selfish contestant, laziest inmate etc. After experiencing a grilling session in the morning itself, RJ Mallishka gave them a surprise in the form of declaring all of them the winners. Later on, Mandana was spotted engaged into a fight with Rochelle, Rishabh, and Prince. On one hand, they were spotted asking her to stop being negative. On the other hand, she accused them of ganging against her. After this confrontation, she walked out to sulk and sob in the bedroom. Then, during the noon time, the housemates again got a call from Mallishka and asked them to answer a few questions asked by the listeners. During this conversation course, one of the speakers said that Mandana only did friendship with Rochelle in order to take advantage of her. After this session, Mandana again confronted Rochelle. When she just started reporting, the housemates left her in the room and went out. Later in the day, four contestants got to enter the BB cinema. They got to see their BB9 journey in the form of Bollywood movie dedicated to each one of them. The movie of Prince was titled Action Aashiq, Rochelle got Chennai Superqueen, Rishabh’s named as Ek Tha Don while Mandana got the title of Revolver Rani. 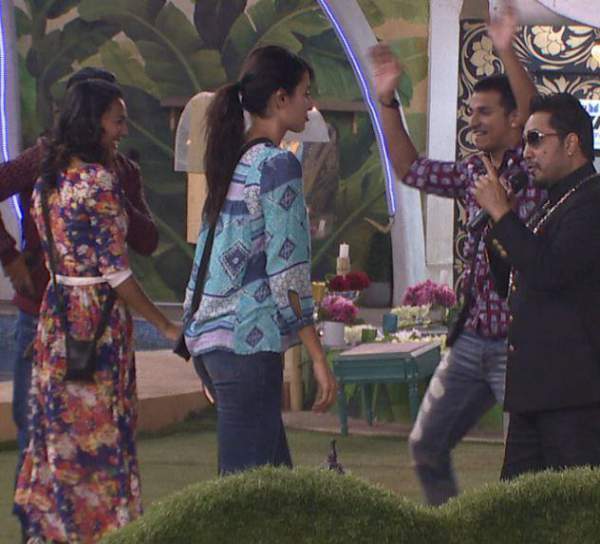 Proceeding in the day, singer Mika Singh made an entry in the house and surprised the finalists. He entered on the song Aaj Na Jaa Billo. He had a good session with each one of the housemates. He compared Mandana to Katrina Kaif. Mika rejuvenated all of them and after a while left the house. The Bigg Boss 9 Day 103 Episode 103 22nd January 2016 ended. Stay tuned for latest bb9 news and updates. Don’t forget to share.